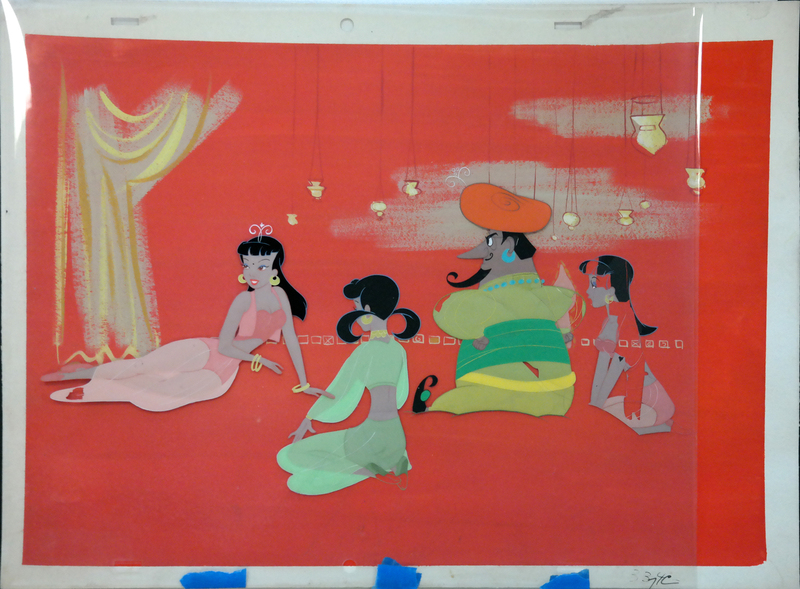 This is a beautiful production cel and production background from Invitation to Dance (1956). The overall background measures 10.5" x 14.5" and the image measurse 9.5" x 13.25". This piece was exhibited at the Norman Rockwell Museum in Stockbridge, MA for their 2017 exhibit, "Hanna Barbera: The Architects of Saturday Morning."